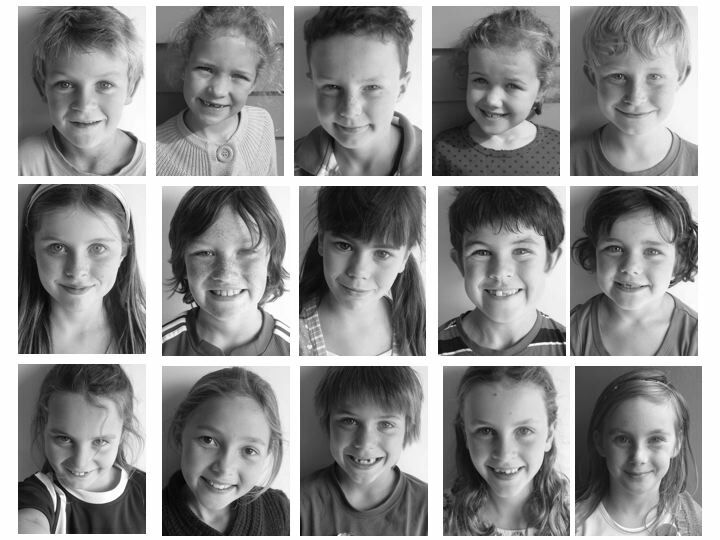 This blog is a record of the learning journey of a group of year 3 and 4 students at Muritai School. 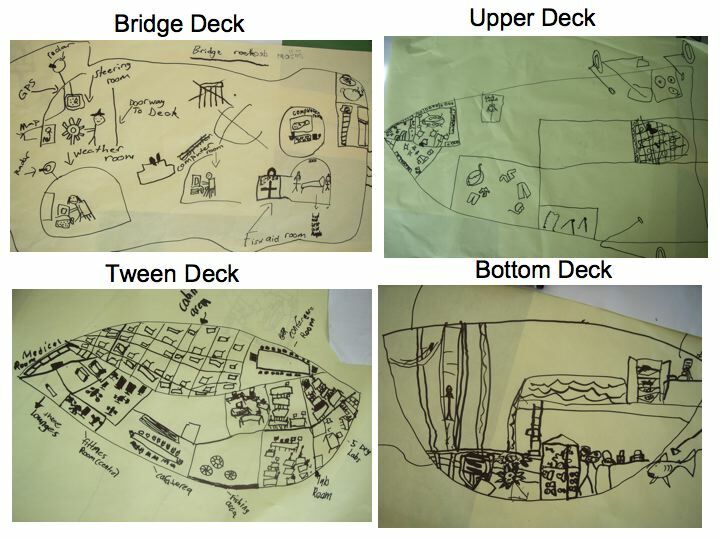 After we had discovered that we were going to be marine scientists on board a research vessel we had to design our boat. We looked on the website for our fictional company, NZ COSSA, and found a fact sheet for The Aumoana, our research vessel. We also looked at some photos and you tubes of other real research vessels including The Joides Resolution (an international research vessel) and the Tangaroa (the local research vessel of NIWA here in Wellington). This helped us imagine what our research vessel might look like. We learnt about different decks on a boat (including the bridge, tween, upper, trawling, and bottom decks), and different types of equipment such as winching equipment to lower scientific equipment into the water. We had to think about what the people on the boat would need to live on the boat for weeks at a time including cabins, cafeterias, medical rooms and lots more! 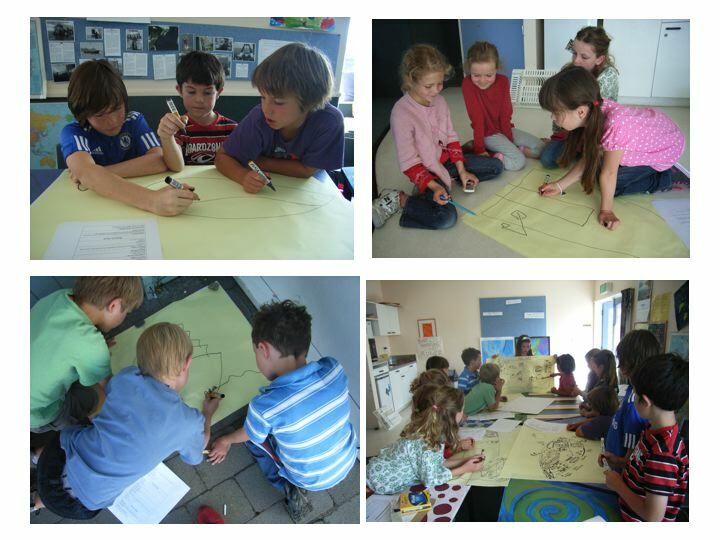 We divided into groups to read the fact sheet for The Aumoana and then in these groups we chose an area of the boat to map. We all had a go at mapping using a birds eye view, which was a good challenge! 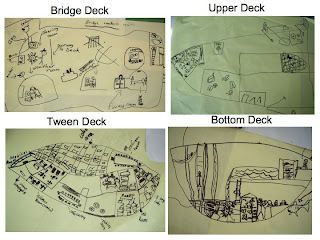 Each group then shared back to everyone all the details they had added to our boat. One of our first tasks was to look around the room for clues about our imaginary workplace. We looked for clues about what kind of people we were going to pretend to be, and what kind of work we were going to be doing. 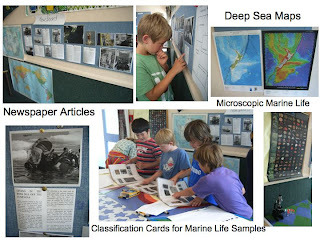 We read newspaper articles and looked at photos about marine research in the Southern Ocean, which were on a newsboard. We also looked at renovation plans for our workplace building, folders of classification cards for different types of plankton and other animals in the marine food web, and different types of maps including deep sea maps, world maps and maps of Antarctica. What we ‘saw’ as we walked through our imaginary work place, the NZ COSSA building. We decided that the building was in Days Bay and on Moana Road (because that meant ‘sea’ and was like the name of our boat). We were keen to have it on this side of Wellington Harbour! Together we created a mental picture of our imaginary workplace. 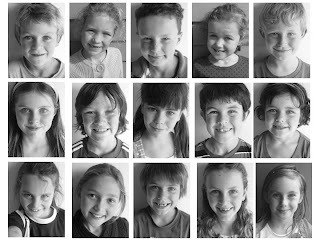 The Sea Company Blog - An example of a Mantle of the Expert unit of work. Mantle of the Expert: A Further Paradigm for Education - A recent article by Dorothy Heathcote, the educationalist who came up with this approach to learning. NZ Centre of Scientific Sea Activity (NZ COSSA) and their Research Vessel, The Aumoana.